Blog - What Role Should My Employees Perform During Commercial Office Fitouts? Staff input is second to none. The best way to have everyone’s buy in is to put the offer on the table and allow staff to bring their comments to a central committee. The committee will then liaise directly with the interior designer to ensure that the points raised are addressed and incorporated into the fitout. This is something that you can do as the business owner or that you can have your leadership team do. It’s important to remember that every department within your business has different needs – by meeting with people in the department, you can understand these needs in more detail and ensure that they’re being met during the fitout. 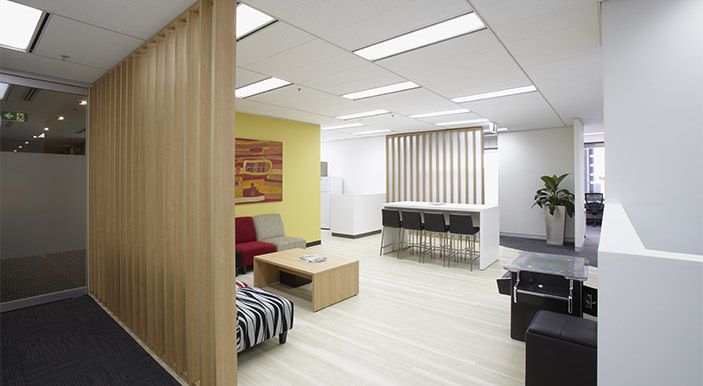 It’s important to remember that an office fitout can often pose quite an upheaval for your business. One of the most important roles that your employees can perform is keeping everything operating as normally as possible, particularly if you won’t be available as much. The solution to this is to find a company that will provide a design and construct one stop result and project manage the whole process to ensure the fitout runs smoothly, cost effectively and efficiently. This will allow you to effectively manage your business while the project is being constructed. If you have decided to put together an internal team to work on the fitout, you might want to ask some of the employees who are not involved to pick up some of the slack. Those people on the team may lose a few normal work hours each week to the project, but it’s important that your business is still hitting those targets and reaching those goals. If you’re hoping to get your employees involved in the commercial office fitout process, we hope that the above list of roles have given you some idea of how to achieve this. It’s definitely a good idea to speak with your employees to determine what sorts of tasks (if any) they would be willing or have the time to take on – you can make your decisions based on this information.